Audi is synonymous with its "Vorsprung durch technik" tagline, so we are always keen to explore interesting ways to reach our audience. Motion@Waterloo seemed like a perfect fit: an exciting media first and an opportunity to engage people with interesting content in the UK’s busiest railway ­station. After a few months of development with our creative agency, BBH, the result was The Audi Dashboard, which incorporated real-time and location-specific messaging brought to life by intriguing data-visualisation graphics. What was the media strategy? 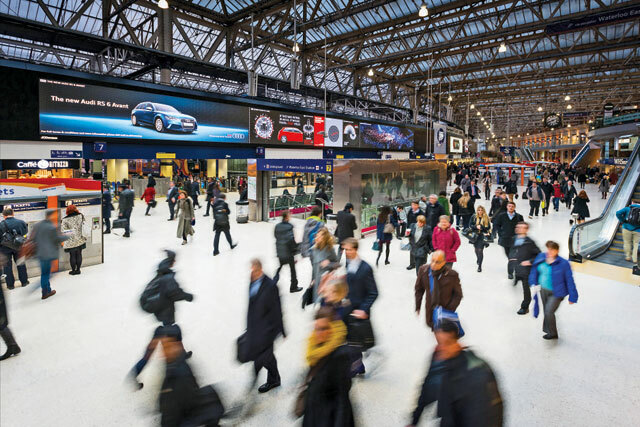 Motion@Waterloo is the biggest indoor advertising screen in the UK and ­delivers the perfect audience for our brand, with a 68% ABC1 demographic, a high average dwell-time of about 17 minutes and an audience seeking entertainment. We decided to create a bespoke asset focusing on their surrounding environment. We wanted to use the opportunity to entertain and engage people, not just bombard them with commercial messages. How did you use outdoor? The opportunity to be the launch partner for Motion@Waterloo was one we could not miss. The sheer scale of the screen, combined with the station ­environment, enabled us to reach a large number of people in a short period of time. By delivering up-to-the minute data, interspersed with full-screen animations, competitions and an interactive Twitter feed, we delivered fun, tailored content that got people talking about the Audi brand. Early indications are that it has been a big success for us. Outdoor Campaign of the Month: HarperCollins "Revenge Wears Prada"